Deciding to have your kitchen remodeled can be an exciting prospect for any homeowner as it will allow you to finally design the dream kitchen you have always wanted. However, you may also quickly find the remodel process to be extremely overwhelming due to all of the design decisions you will have to make. One of the most critical decisions you will need to make early on is what kind of countertops you want, as the countertops you choose could affect the feel and design of the rest of your kitchen. Yet, with so many options available, it can be difficult to know where to start when choosing countertops. One popular option you may want to consider for your home is granite countertops. Here are just a few of the benefits of choosing granite countertops for your remodel. One of the greatest benefits of granite countertops is that they are extremely durable. In particular, these countertops are known for their heat-resistance as they will not melt, blister, or burn when they are exposed to heat. This means that you will not have to worry about destroying your countertops if you accidentally place a pan from the oven directly onto your counters, as this is something people with granite often do without harming their counters. Being an extremely hard stone, granite is also extremely difficult to scratch, crack, or chip. While it isn’t recommended that you do so for sanitary reasons, you could cut food directly on your granite countertops without harming them. In fact, doing so will cause more damage to your cutlery than your counters as it will likely dull your knives. The extreme durability of granite makes it a great investment in your future as you will not have to worry about damaging your countertops. In fact, granite is known for being an extremely low maintenance countertop option that often lasts as long as a homeowner owns their home. 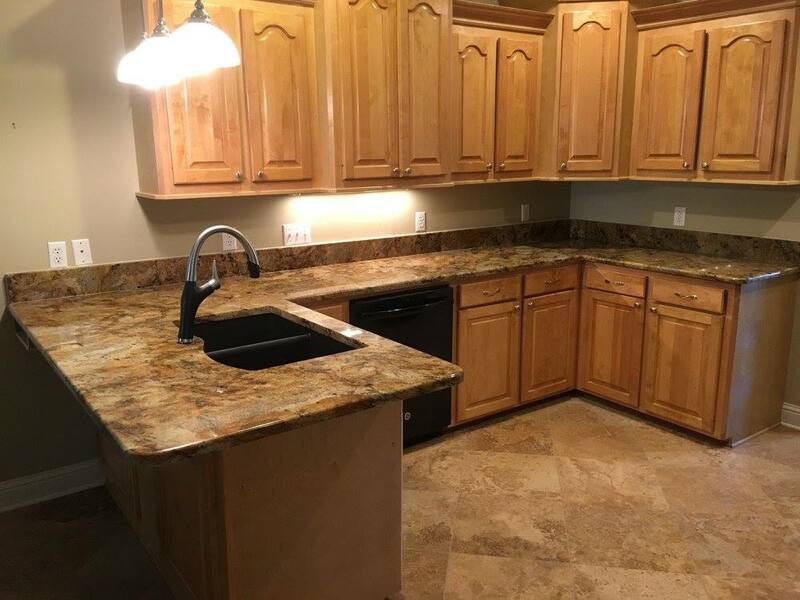 By choosing granite you will not have to worry about maintaining your counters, just make sure that you clean them regularly using a stone cleaner that is approved for use on granite. Granite continues to be a popular countertop choice amongst homeowners due to the countless benefits it provides. Contact us to learn more about granite as well as for help in choosing new countertops for your kitchen.